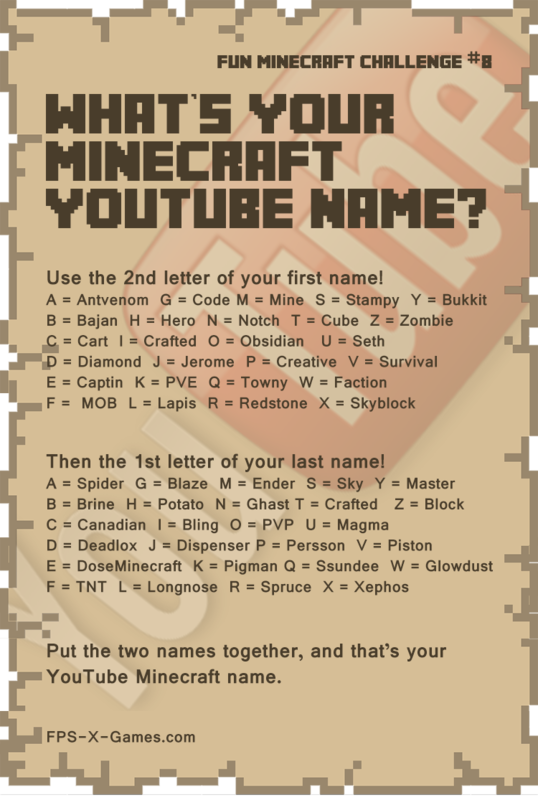 Fun Minecraft Challenge No8 - What's your Minecraft YouTube Name? Here's number eight in the Fun Minecraft Challenge collection. What's your Minecraft YouTube name game. Just for fun or if you need a cool Minecraft name for the next big YouTube channel. Fun Minecraft Challenge No8 - What's your YouTube Name?